Abstract Changes in seasonality associated with climate warming (e.g. temperature, growing season duration) are likely to alter invertebrate prey biomass and availability in aquatic ecosystems through direct and indirect influences on physiology and phenology, particularly in arctic lakes. However, despite warmer thermal regimes, photoperiod will remain unchanged such that potential shifts resulting from longer and warmer growing seasons could be limited by availability of sunlight, especially at lower trophic levels. Thus, a better understanding of warming effects on invertebrate prey throughout the growing season (e.g. 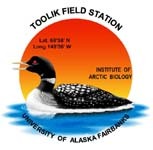 early, peak, late) is important to understand arctic lake food-web dynamics in a changing climate. Here, we use a multifaceted approach to evaluate prey availability to predators in lakes of arctic Alaska. In a laboratory mesocosm experiment, we measured different metrics of abundance for snails (Lymnaea elodes) and zooplankton (Daphnia middendorffiana) across three time periods (early, mid- and late growing season) and across three temperature and photoperiod treatments (control, increased temperature and increased temperature × photoperiod). Additionally, we used generalised additive models and generalised additive mixed-effects models to relate long-term empirical observations of zooplankton biomass (1983–2015) to observed temperature regimes in an arctic lake. We then simulated zooplankton biomass for the warmest temperature observations across the growing season to inform likely zooplankton biomass regimes under future change. We observed variable responses by snails and zooplankton across experiments and treatments. Early in the growing season, snail development was accelerated at multiple life stages (e.g. egg and juvenile). In mid-season, in accordance with warmer temperatures, we observed significantly increased Daphnia abundances. However, in the late season, Daphnia appeared to be limited by photoperiod. Confirming our experimental results, our models of zooplankton biomass showed an increase of nearly 20% in warmer years. Further, these model estimates could be conservative as the consumptive demand of fishes may increase in warmer years as well. Overall, our results highlight the importance of interactive effects of temperature and seasonality. Based primarily on temperature, we can readily predict the response of fish metabolism in warmer temperatures. However, in this context, we generally require a better understanding of climate-driven responses of important invertebrate prey resources. Our results suggest invertebrate prey biomass and availability are likely to respond positively with climate change based on temperature and seasonality, as well as proportionally to the metabolic requirements of fish predators. While further research is necessary to understand how other food-web components will respond climate change, our findings suggest that the fish community at the top of arctic lake food webs will have adequate prey base in a warming climate.